Photo of: East cost of Ireland: Dublin. 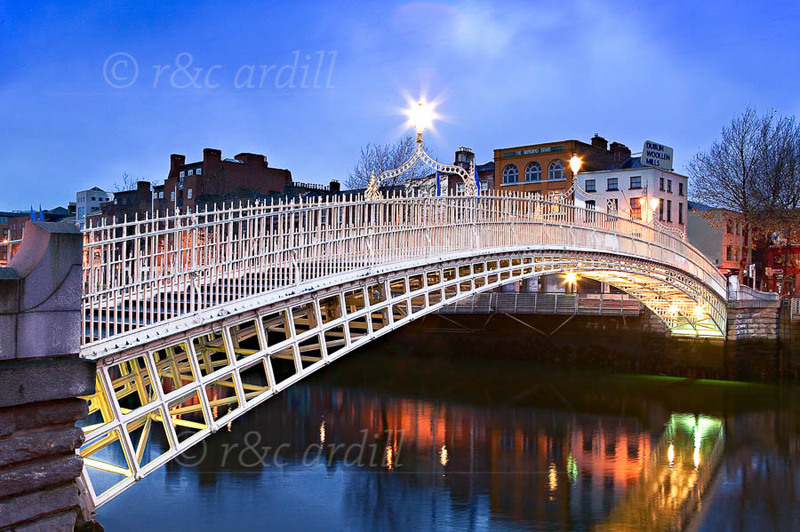 This is a very early-morning view of the Hapenny Bridge on the river Liffey, in Dublin. The Hapenny bridge was built in 1816 of cast iron - it is so-called because it was originally a toll-bridge with a half-penny toll. Before the Hapenny Bridge was built there were seven ferries that operated from one side of the Liffey to the other.